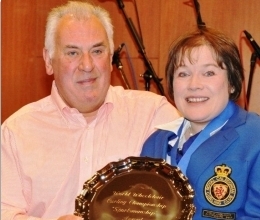 Aileen Neilson skip of the Scottish wheelchair curling team, has won the 2011 World Wheelchair Curling Championship sportsmanship award. Neilson was nominated by her fellow competitors who were all invited to nominate a player at the event who, in their view, best exemplified the traditional values of skill, honesty, fair play, sportsmanship and friendship. 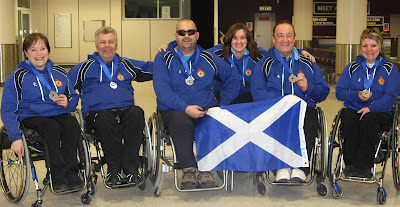 Below is a photo of her team arriving back in Scotland courtesy of Bob Cowan's Skip Cottage blog.